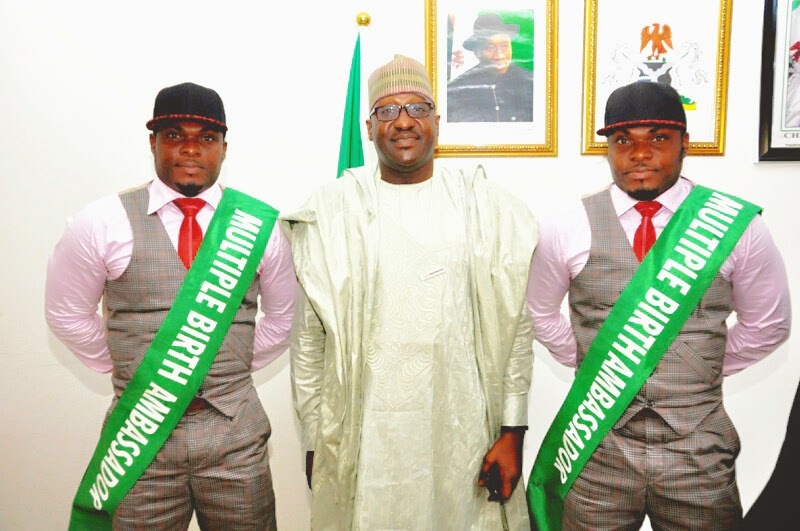 Popular twins artists and actors Akpos Anthony and Andos Andrew Dixon ‎have added another cap to their already feathered cap with the honour from National Orientation Agency as the Face Of NOA MULTIPLE BIRTH AMBASSADORS. 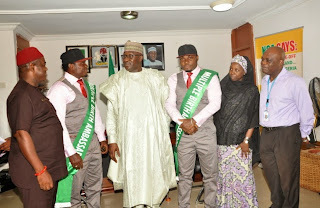 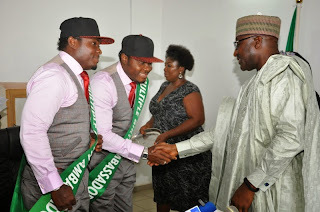 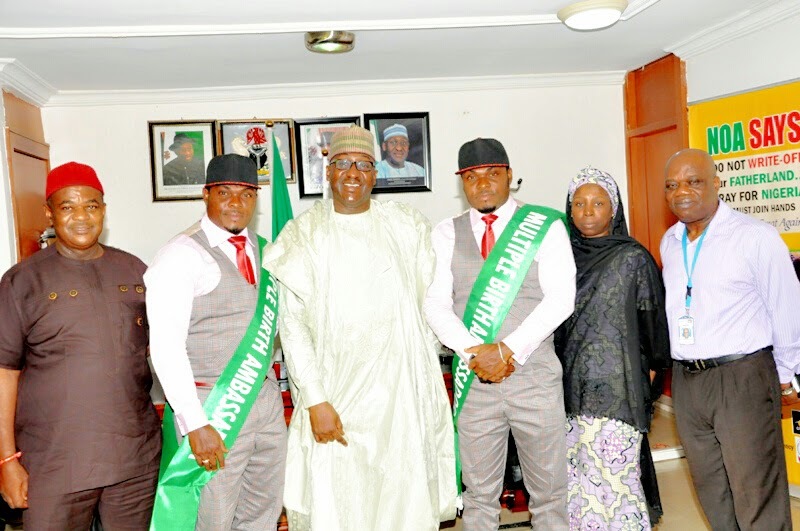 The Nigerian famous twins known as MamuZZee brothers were ‎decorated by Director General, National Orientation Agency (NOA), Mr Mike Omeri during the investiture ceremony held in Abuja on Wednesday 6th May, 2015. The Director General‎ of NOA reiterated their commitment to always support the projects of the new Ambassadors with regards to their national and international campaigns and tours for multiple birth acceptance and advantage. It would be recalled that the prior to the just concluded general election, the hard-fighting twins staged a massive press conference to ‎react against INEC move to disenfranchise multiple births, an effort that was applauded in Nigeria and by the international communities.